This new, revolutionary product is the only one of its kind. Designed by two MIT chemists, these pads will detect the presence of active urushiol oil in all members of the Toxicodendron family: poison ivy, poison oak, and poison sumac. 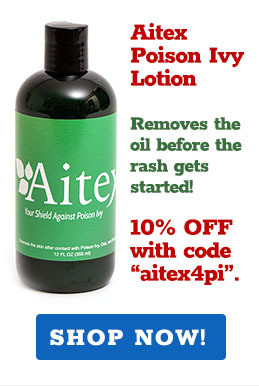 It is the urushiol oil that causes a terrible skin rash, and this product is the only one that can detect it. 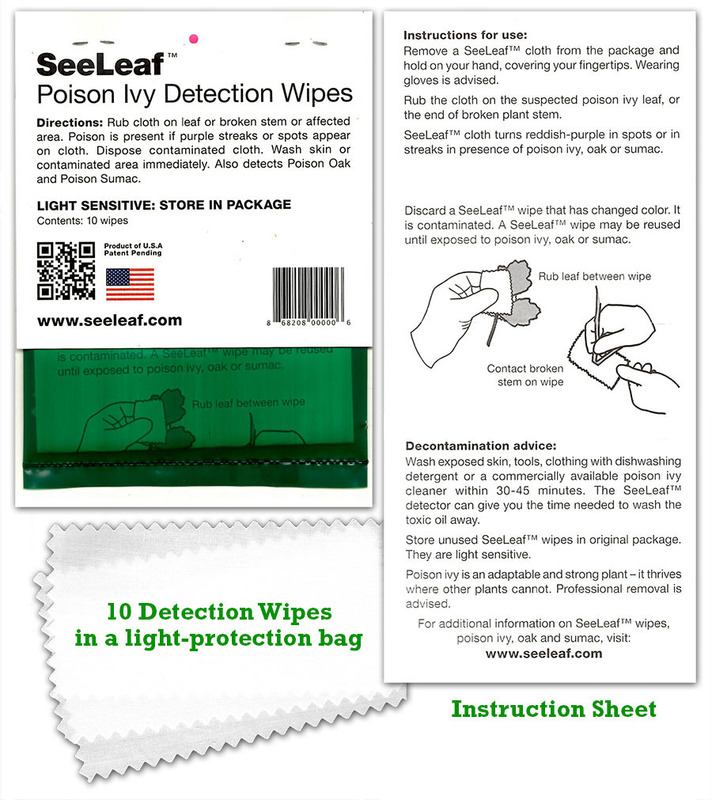 Watch the video below to see how the SeeLeaf poison ivy/oak/sumac detection wipes work in real life. $18.50, shipping and handling included, with 10 wipes, light-safe bag, instruction sheet. Watch this video and see something remarkable! If this video doesn't play for you, try the Vimeo version. Learn more about SeeLeaf at their website.